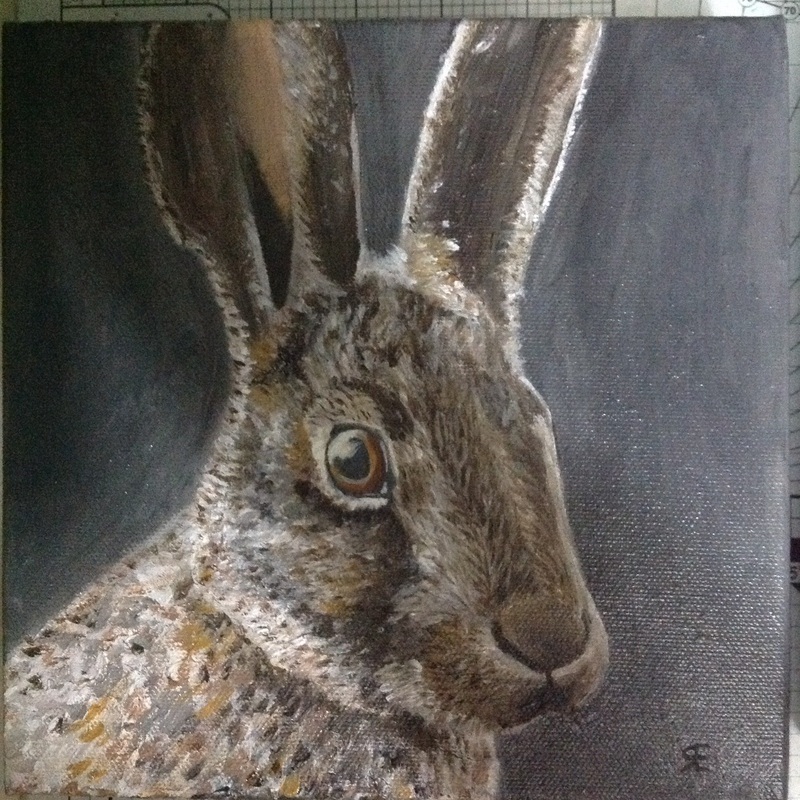 Second hare oil painting now finished…… I think? 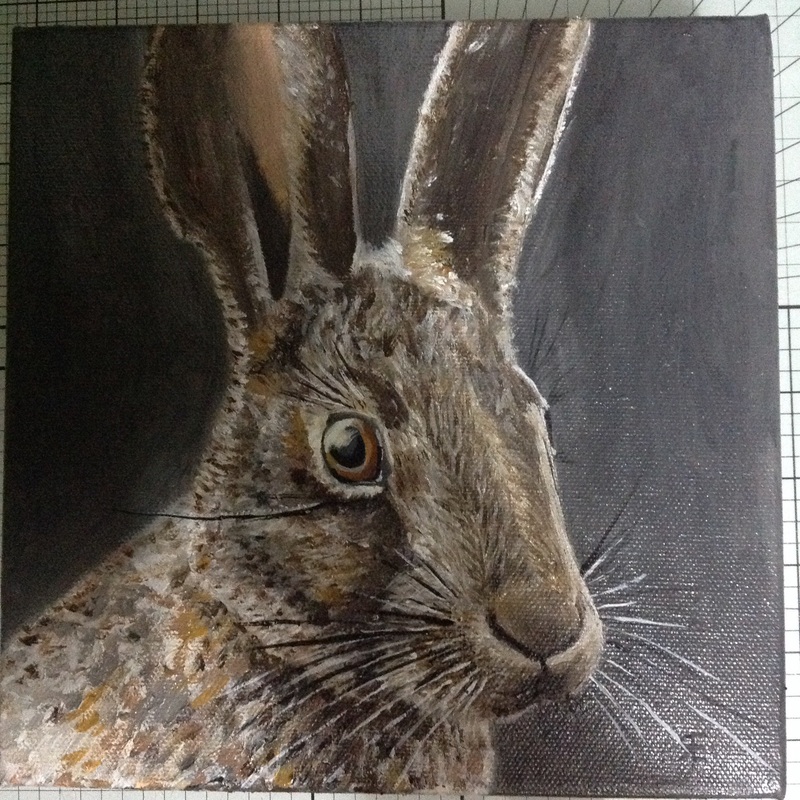 Eventually I think he is complete, but not named…yet, struggled with the whiskers, but decided they would have to do, it really is pretty hard to get a thin line, and I am sure my hand was shaking, with the nerves of putting the oil on the canvas, worrying how the line would appear freaked me out, that much,it is ridiculous. 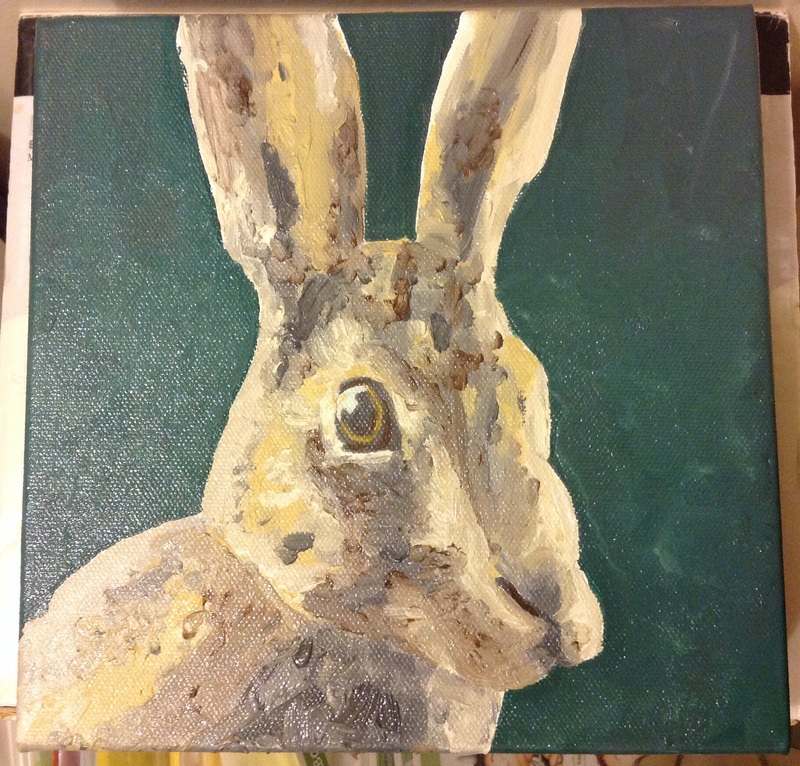 How would I correct it if it went so terribly wrong? 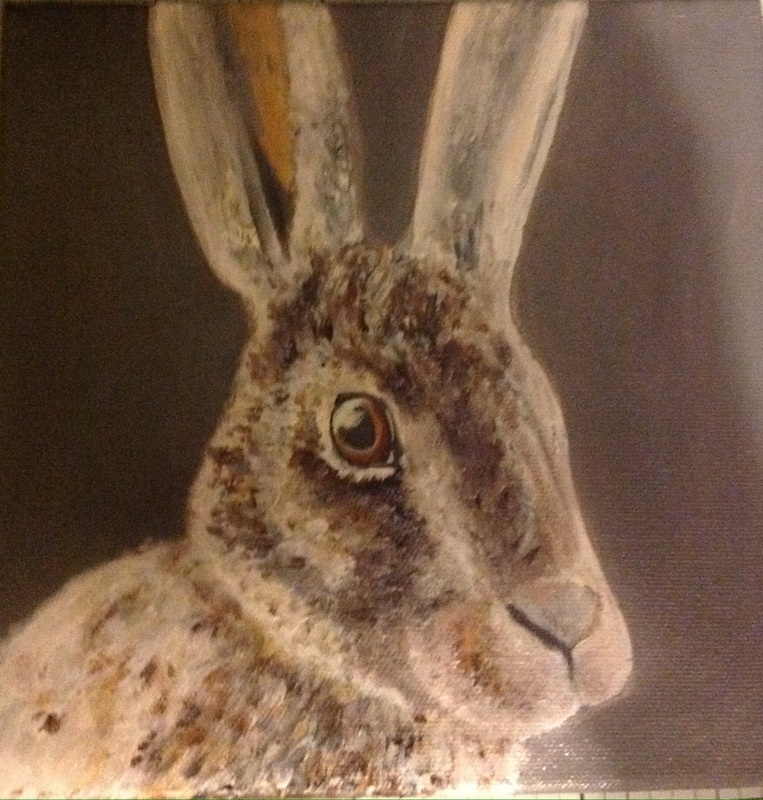 Still pheww for me, I am happy enough……..just though of his name, due to the time it has taken’HARE TODAY, GONE TOMORROW ‘. 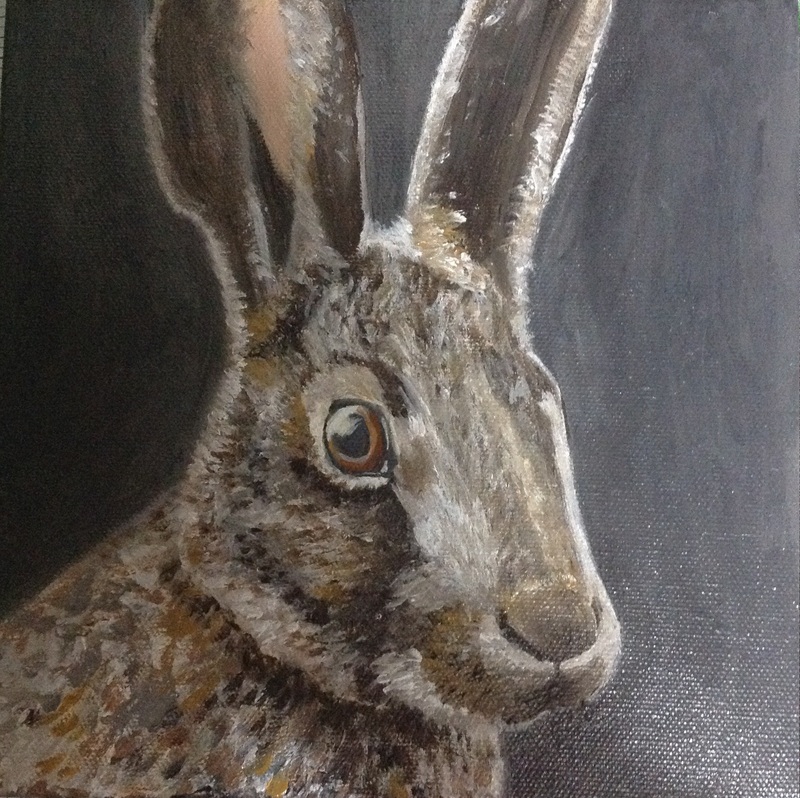 This entry was posted in Hare and tagged Hare, Oil painting, oil painting. Bookmark the permalink.